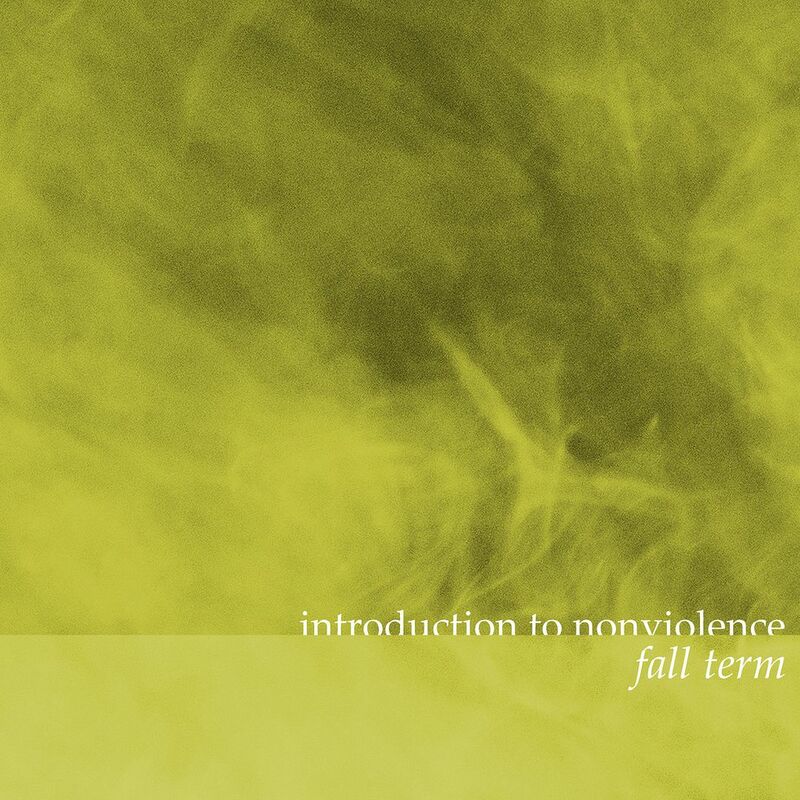 Raised by Gypsies ::: Music Review // Tobias Reber "Introduction to Nonviolence I: Fall Term"
"Introduction to Nonviolence I: Fall Term"
Each note of this is so delicate. Acoustic strings are plucked, but also those synth tones from old Atari games come out as well. It's the difference between acoustic and electronic all with dramatic keys mixed in and some bells (or maybe a triangle?) as well. It creates this combination of sounds which I don't feel has been attempted before, but definitely is relaxing to listen to, as if you're floating around in the vast nothingness of it all. The synths interact with each other a little bit more and it is a little bit less acoustic on the second track. Each track is titled "Fall Term - Session #", so the second one is "Fall Term - Session 2", for example, so it's an easy way for me to keep track of the titles (thank you). For this second song though it really feels like the synth is testing how far it can stretch space. We get into those digital bells (kind of like Doogie Howser) on the third song with electronic scrapes slightly coming through as well. It has a somewhat dramatic feel to it, but it also seems so heartfelt. This continues but can also feel like the score to a Hitchcock film with the deep, dark strings and clarinet (?) on the fourth song. Following this is a song which can sound like an urgent transmission but also brings about this rattling and it's just on the cusp of something, like the ticking of a timebomb. There is a darker sense of strings with dings like a triangle on the sixth song. It really seems to create a feeling of wonderment. On the seventh and final track there are these strings kind of droning in a bass way, other strings at a medium level and then higher strings being plucked, kind of taking us back to where we started with the first song. It's odd because it creates this feeling in my ears that I can't describe, but I can just kind of feel this certain pressure and I like when music does that to me as well. This is what I love about music though-- I hear things, such as these songs by Tobias Reber- that I've never heard before. Finding new sounds, creating new sounds and forming them into songs which are pleasing to the ear or at least unique is what the future of music should be all about and I'd say that Tobias Reber has that figured out.